AUSTRALIANS have many reasons to be confident in their country’s preparedness against a major pandemic, experts say, despite warning that the risks of mass disease outbreaks are growing rather than receding. Writing in the MJA, Australia’s leading infectious disease research groups, together with the federal government’s most senior medical advisors, showed that Australia was increasingly well prepared against the next pandemic, whenever it may come. “Australia has many pieces of the plan in place, but we must continue to fill gaps, test and refine existing systems and continually review what works to make sure we are as ready as possible for the next emerging infectious disease challenge,” they wrote. Australia’s Chief Medical Officer, Professor Brendan Murphy and the Office of Health Protection’s Principal Medical Adviser, Dr Jenny Firman, co-authored the MJA article, along with the heads of Melbourne’s Peter Doherty Institute for Infection and Immunity and Sydney’s Marie Bashir Institute for Infectious Diseases and Biosecurity. They commended Australia’s clear national plans for dealing with pandemics of both influenza and other pathogens, known and unknown, under the leadership of the Australian Health Protection Principal Committee. The Australian health management plan for pandemic influenza and the CDPLAN: emergency response plan for communicable disease incidents of national significance build on lessons learned from Australia’s 2009 influenza pandemic and international outbreaks of Middle East respiratory syndrome, Ebola and Zika virus. The experts described how much had changed since the 2009 influenza pandemic, which at times had overwhelmed frontline clinical and public health staff and stretched laboratory resources “beyond their limits”. A major development since then had been the creation of four new centres of research excellence, which ramped up Australia’s capacity to track and respond to disease outbreaks and share critical information with global partners, they said. The centres focus on emerging infectious diseases, integrated systems for epidemic response (ISER), simulation and mathematical modelling and preparedness research (APPRISE). 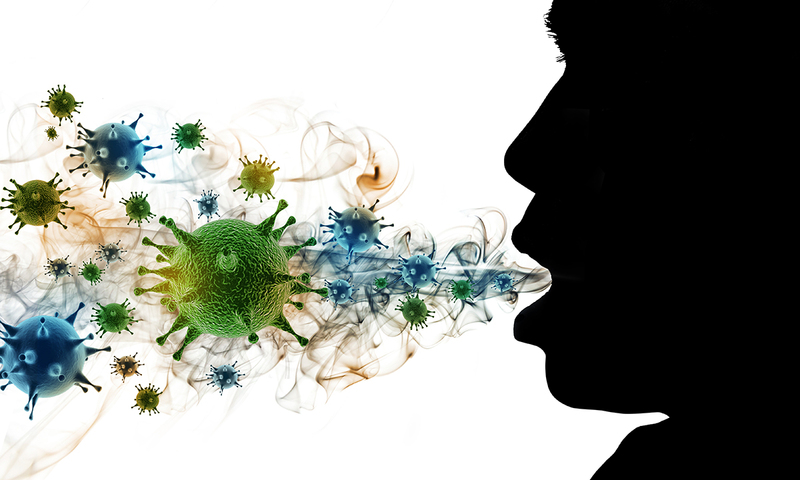 Research from ISER has found that between 2011 and 2015, four novel subtypes and three novel variant strains of influenza emerged in humans. Dr Ian Barr, deputy director of the World Health Organization Collaborating Centre for Reference and Research on Influenza at the Peter Doherty Institute, said an increase in detected viruses did not in itself represent increased risk of a pandemic. “Just because there are more zoonotic viruses infecting a small number of people without spreading infections easily on to others doesn’t mean that one of them is going to be the next pandemic strain,” he told MJA InSight. Professor Murphy told MJA InSight that it was difficult to predict when the next pandemic would hit, or its likely source, despite Australia’s comprehensive and robust surveillance systems. “New diseases may emerge or re-emerge at any time from any region in the world. In the case of an influenza pandemic, there are certain global hot spots where outbreaks of avian influenza considered to have pandemic potential continue to emerge; for example, H5N1 and H7N9 in China,” he said. Professor Jodie McVernon, another co-author of the MJA article told MJA InSight: “Before 2009, everyone believed that the next flu pandemic strain would emerge from birds in Asia, but we were wrong.” The source was pigs in Central America. “That lesson reminds us that we need to stay open-minded and remain vigilant on many fronts,” she said. Dr Rose Ffrench, head of the Viral Immunology Laboratory at Melbourne’s Burnet Institute, said that Australia was “in general, very well prepared for a pandemic,” although more so for existing pathogens than unknown ones. “One of the reasons it makes it very difficult to predict what kind of pathogen may be coming is the increasing interaction between climate and environment and infectious diseases,” she said. Dr Ffrench said Australia’s pandemic response systems were well tested during the 2009 influenza pandemic. “We were one of the fastest countries to get sequences from the World Health Organization collaborating centres to diagnostic facilities so that they could start looking for the strains using nucleic acid testing, and then soon after, a vaccine was produced at CSL,” she said. One critical deficiency identified in Australia’s 2009 influenza pandemic was the failure to engage high-risk populations in pandemic planning before the outbreak – particularly Indigenous Australians, who were five times more likely to be admitted to the intensive care unit with influenza than non-Indigenous people. The APPRISE network is now working with Indigenous communities to develop culturally acceptable public health emergency measures, including risk mitigation strategies, such as home isolation and quarantine. Dr Peter Massey, from Hunter New England Health, who is co-leading the project, told MJA InSight that the elevated pandemic risk for Indigenous Australians was related to socio-economic disadvantage, racism and high rates of chronic disease.